In our previous piece, we raised some simple, but powerful questions about a chart that many of us take for granted. Here is that chart again. The bottom line is that there seems to be a mismatch between the actual value of economies across the board and the way they are represented in global markets. The emerging markets are under-represented relative to their share of GDP and population and the promising growth prospects they represent. The frontier markets are totally ignored with no allocation at all, despite the fact that they do have a notable contribution to GDP compounded by one-third of the world's population that is spawning a rising middle class. There a number of widely accepted and adopted explanations of why some of the fastest growing economies are so under-represented in the vast majority of portfolios. The most common reasons are low liquidity levels, an absence within the commonly used benchmarks, and the fact that there is not much research offered about these markets, probably due to their small size. In other words, institutional investors find it hard to justify a minor allocation, if any at all. However, for the smaller, more nimble sophisticated investor, there might be a compelling opportunity to be found here. In this piece, we will take a closer look at an interesting imbalance that has been created between the frontier markets and the rest of the global markets. We believe there is a compelling window of opportunity here for the forward-looking investor. As you can see on the chart above, during the 10 years since the global financial crisis. Since then, equity markets around the world have recovered quite impressively. The US delivered a staggering 340% while the developed markets rose by 273%, followed closely by the 247% of emerging markets. 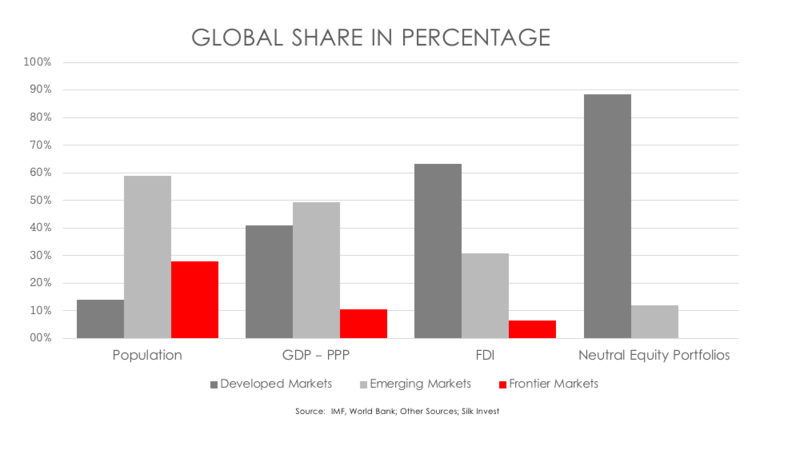 What the chart clearly shows is that both the frontier markets, and more specifically Africa were not invited to the party, lagging by 176% and 167% respectively. As a result, we have a wide differential that, in our opinion, represents a unique medium- to long-term window of opportunity for investors. 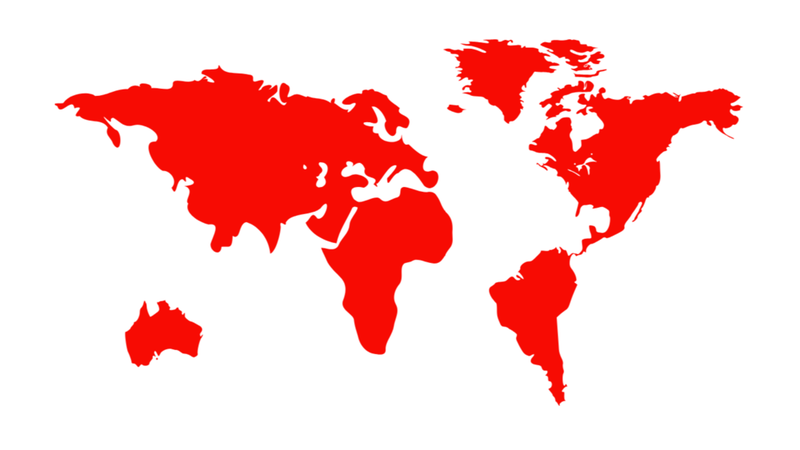 The frontier markets catch up with emerging markets. Especially those that are earlier versions of the Indonesias, Thailands, and Mexicos of this world. The US and some developed markets rally reverses and investors eventually return to essential discounted fundamental growth stories. But we shouldn't jump to conclusions just yet. First we need to better understand exactly why the frontier and African markets have lagged behind developed markets. The mismatch between economic reality and the way typical portfolios are structured (the first chart in the article) only explains part of the story. There are other factors at play that explain why there is such a differential and why there is an opportunity.